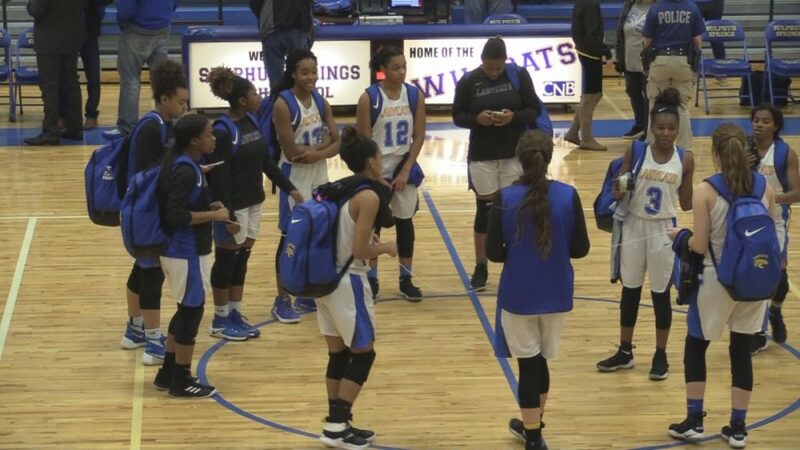 Lady Cats Coach Brittney Tisdell said she has to give credit to Jacksonville for the way they played in a 57-46 bi-district win Monday night (February 11) at Winona. Coach Tisdell said the Maidens were extremely athletic and appeared much taller in person than they looked on tape. She said they were taller at every position than the Lady Cats. Coach Tisdell said they hit a lot of their shots and played a great game. She thought the Lady Cats did a pretty good job of denying the Maidens three-point baskets. Jacksonville loves the three-point shot but managed to hit only four all night. Both starting guards hit two. Coach Tisdell said the offensive rebounding by Jacksonville turned out to be a game killer for the Lady Cats. She said the Lady Cats shots just would not fall. Coach Tisdell said the Lady Cats did not play their best game. She said the Jacksonville players were a good young group and were respectful of the Lady Cats after the win. Coach Tisdell told her team that not many teams get to end their season 24-8. She encouraged them to remember the good season they had.